Having enjoyed several 'caveman diet'-friendly meals at E's house in the past...and always intrigued by the plethora of recipes that pop up on Pinterest...I decided to venture on the wild side and try whipping up one of them myself. 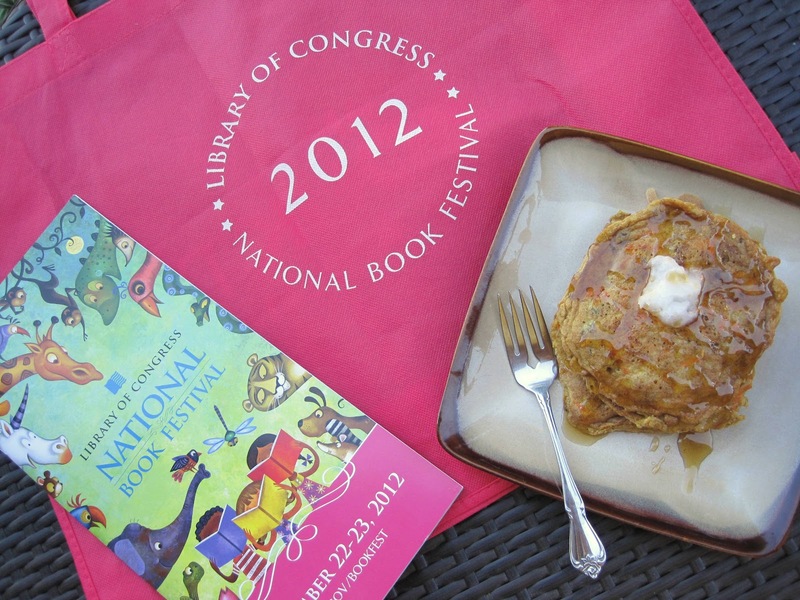 Now, if there are two things I can't resist, they're carrot cake and pancakes. So, a guilt-free breakfast that offers both of those in one? I'm game. The conclusion? The texture of these is probably never going to be mistaken for ol' fashioned buttermilk pancakes. Slightly more eggy and tender than the norm thanks to the obvious absence of gluten, they still manage to be extremely light with just the right amount of chewiness. As for the taste, the carrot and spice flavors truly shine through and are perfectly accented by a splash of agave nectar or honey (which I'm not sure are technically in line with strict Paleo) and a pat of coconut oil (aren't you proud, Erienne?). In other words, they're worth making. Today. Mix all of the dry ingredients together in a large bowl. Add the carrots, eggs, coconut milk, oil, raisins, and walnuts. Mix thoroughly. Preheat a large skillet on medium-high heat, and add enough coconut oil to coat the bottom of the pan. Pour batter into small mounds on the hot surface. Cook until bubbles form on the surface and bottom is golden brown, 3-4 minutes. Flip and continue to cook until the bottom surface is golden brown, about 1 minute. Serve with coconut butter and agave nectar. You know I will be making these! Can't wait to see you again!